Okay, so I really miss our Five on Friday link-up and can't wait for it to be back from summer break! I love seeing who links up with us each week, so I'm getting really jazzed about its return. This is my sweet baby around 7am this morning. She is really enjoying being propped up on the Boppy so she can look at pictures these days. It looks like she is holding the book herself, but I assure you she is a typical 12-week old baby :) She does like touching the pages, though! I purchased this book on Amazon for a few bucks after reading so many reviews saying how much the book was enjoyed by babies. I love fun mail and cannot WAIT to share with you some beautiful little things I received from the postman! Look at this little one getting SO big. On my wishlist is this Lovecat romper. I think it is just so cute and (this is random) it reminds me of the old-school Peaches & Cream Barbie ... did anyone have that one?! My sisters are nodding their heads furiously right now. 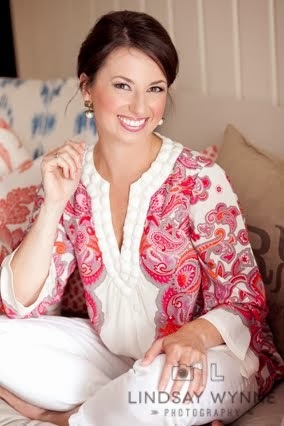 Earlier in the summer, I saw Caitlin from Southern Curls and Pearls wearing it and it looked so cute on her! I think she's probably a good bit taller than I am, so I'm hoping the proportions would work on me being only 5'2". I think it would be so perfect for an upcoming bridal luncheon I have for my best girlfriend. So what do you think, should I pull the trigger on the romper? Happy Friday to you all and enjoy the weekend! Glad the transition is going well. My sister had that Barbie and his her from me so I couldn't play with her. So one day I went into her dresser and chopped off all the barbies hair...she learned her lesson real quick. Pretty sure I wasn't allowed near scissors after that! Happy weekend! That maxi dress you have is to die for! Where is it from? That romper is adorable and I think you would look fabulous in it! Pull the trigger! Camille is so adorable! I remember seeing you only a few months pregnant at the Charlotte Social ornament exchange and I can't believe how time has flown by! I also saw Caitlin post this romper a while back and I loved it! You look great post-baby, Pull that Trigger! Oh, Camille, you are just the cutest!! 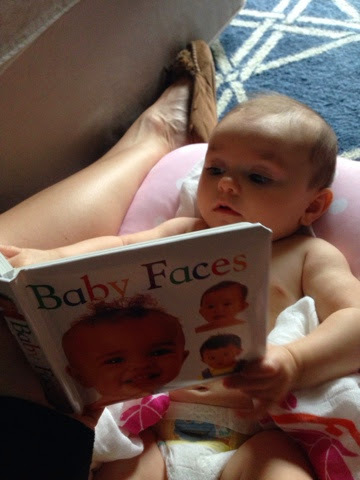 :) I may have to get that baby book for Ella! Glad your return to work went ok...and yes, go for the romper; its adorbs!! you look absolutely gorgeous! so glad things went well for you and your return...It certainly is a give and take with being a working momma! 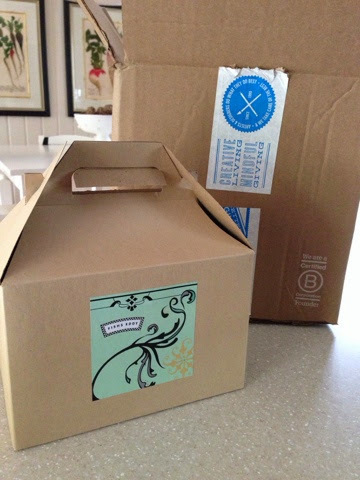 Is that a Fishs Eddy box I spy?? My little sis lives in NYC and gets my Christmas gift there every year. I loooooove that place!! Glad to hear you had a good first day back. I've been thinking about you! And as always, little Camille is looking cute as can be reading that book! Love the romper and totally think you can pull it off! Perfect for a bridal luncheon. 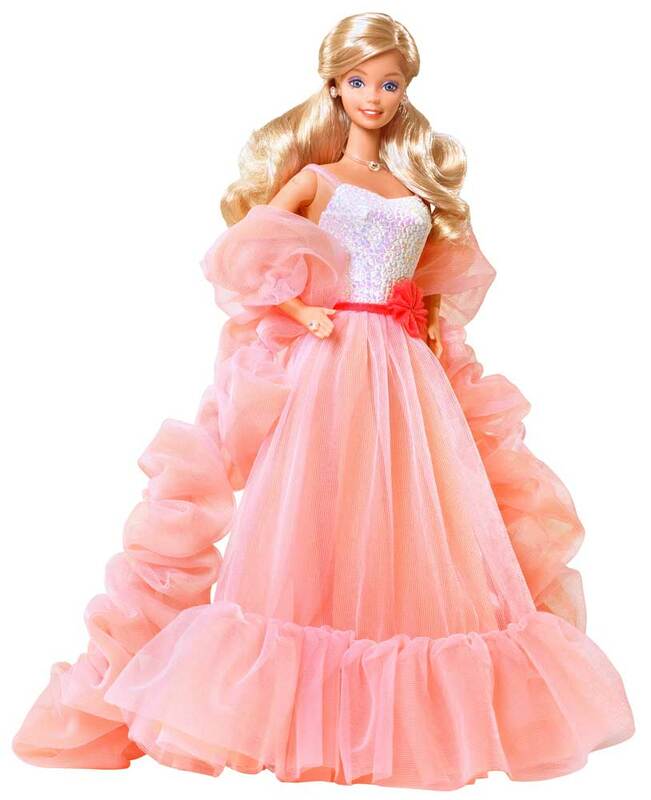 :) I always wanted the peaches and cream Barbie! Happy Weekend!! The Peaches and Cream Barbie was my FAVORITE!!! Ahhhh! Such a great flashback! Thanks! LOVE that romper. I would def go for it :) And pretty sure I had that Barbie. What memories. I cannot believe you remember the name and everything, too funny! My vote is most definitely go with the romper! It is adorable and such a great price. Have a wonderful weekend! 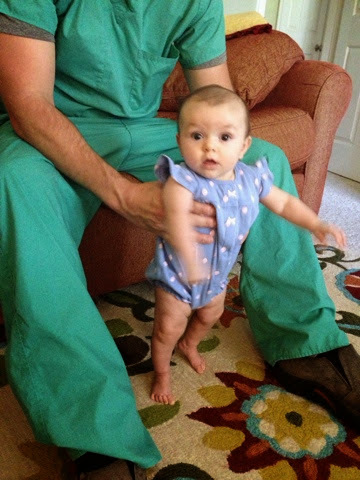 love the romper...and camille is getting so big! Work that romper!!! :-) Loved it on Caitlin and it would look FAB on you! Camille is too precious! Caitlin is very petite - probably about your height. The romper will look great on you! Going back to work is hard but good for you for realizing that the transition will take time! I am going to have to check out that book! And that romper!! OMG LOVE! Yes--pull the trigger! I love a good romper!! Pull the trigger, that romper is almost as cute as Camille! Good luck with your transition and have a great weekend! My little one still loves Baby Faces and he's almost a year and a half! Peaches and cream Barbie! One of my all time favorites. Happy weekend! Peach looks so great on brunette a, and the style is so feminine. Get it for sure! Camille is just beautiful. I totally had that Barbie!! Good luck in your new transition!!! I'm loving the barbie mention haha, I had that same one! Love the romper - go for it! Farrah's thighs have gotten so chunky in the last couple weeks too...it's so cute! I love the maxi you wore for date night! Caitlin is actually only 5'3! One time I emailed her about the length of something, because I was concerned it would be long on me (I'm 5'2 also) and was shocked that she is only 5'3! So DEF go for the romper! yes to the romper. i always say yes to the romper. omg that barbie! yes totally had it!